Cups Medieval There are 19 products. 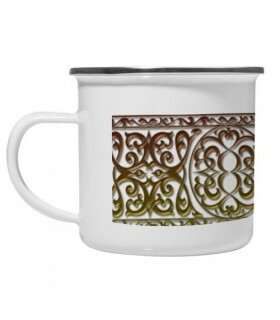 Original ceramic mug from our Medieval Store. Ideal for your breakfast, for a coffee or an infusion. Suitable for washing in the dishwasher. It has capacity for 325 ml. 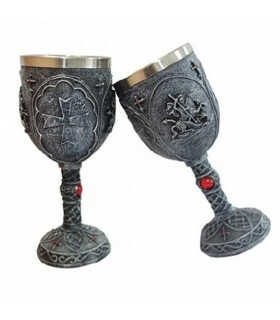 Chalice Crosses Templar, 18 cms. 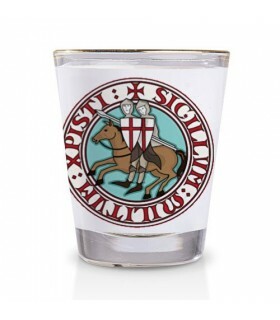 Shot glass of the Knights Templar. Designed with the Templar Knights and two Maltese Crosses on the sides. Manufactured from glass with the rim finished in gold. 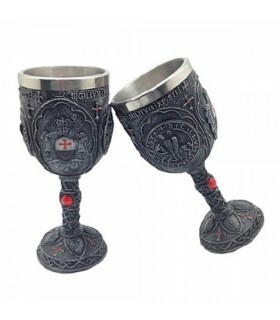 It is recommended to hand wash.
Chalice Knights Templar, 18 cms. 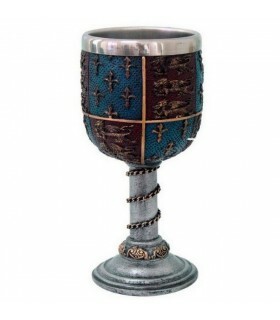 Medieval chalice of the Knights Templar made of resin and coated in stainless steel. Goblet medieval Richard the Lionheart made of resin and coated stainless steel. 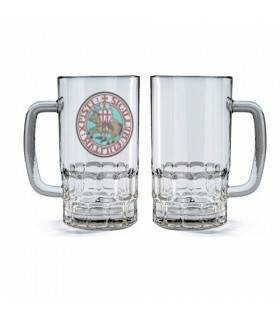 Jug of Crystal Beer of the Knights Templar with capacity for half a liter, 500 ml. of beer. 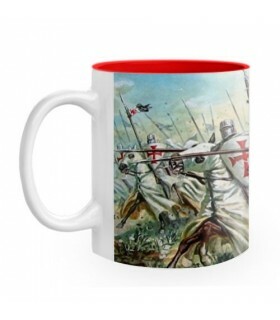 Ceramic Mug fighting Knights Templar. Ideal for your breakfast, for a coffee or an infusion. Suitable for washing in the dishwasher. It has capacity for 325 ml. 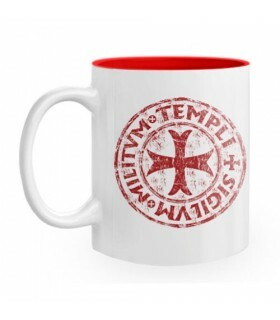 White Ceramic Cup with Red Templar Cross. Ideal for your breakfast, for a coffee or an infusion. Suitable for washing in the dishwasher. It has capacity for 325 ml. 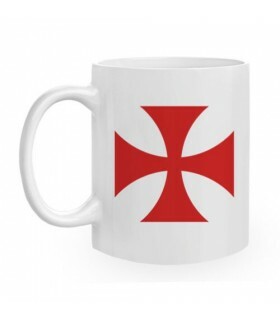 Ceramic Mug Cross-Seal Templar. Ideal for your breakfast, for a coffee or an infusion. Suitable for washing in the dishwasher. It has capacity for 325 ml. 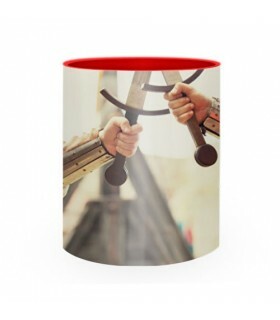 Ceramic mug Medieval Fighting. Ideal for your breakfast, for a coffee or an infusion. Suitable for washing in a dishwasher. Has a capacity of 325 ml. Vintage brass cup esoteric icons. Ideal for your breakfast, for a coffee or an infusion. Not suitable for microwave or dishwasher. 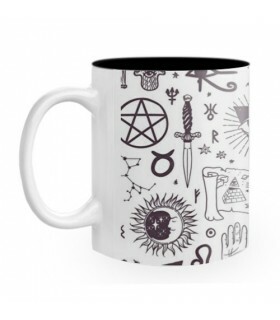 Mug Astral esoteric pottery. Ideal for your breakfast, for a coffee or an infusion. Suitable for washing in the dishwasher. It has capacity for 325 ml. 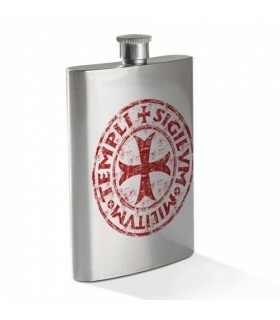 A pouch with the Seal of Templar made of Stainless Steel and with a capacity of 88 ml. Has cap screw. Not suitable for dishwasher or microwave. 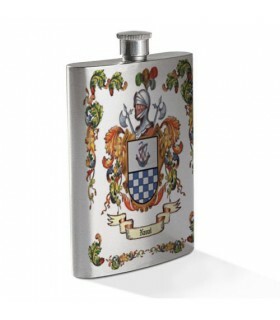 Thermo of the Knights Templar, 750 ml. 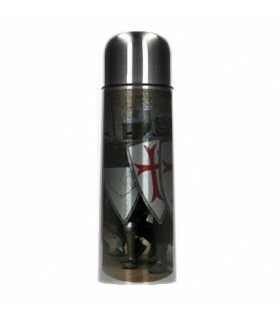 Thermos to use in your re-enactments of medieval and historical with the design of the fight of the Knights Templar. Keep your hot drink during the hours that duration of your event recración. A thermos is solid and airtight. Retains 3-hour heat or cold. Cup brass Vintage Valance Medieval. Ideal for departures to the field of recreacionistas historical as well as for your breakfast, for a coffee or an infusion. Not suitable for microwave or dishwasher use. 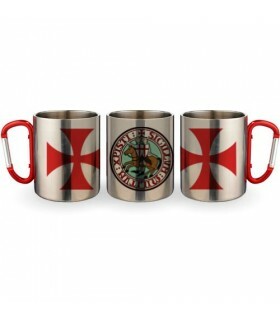 Cup Steel Carabiner Knights Templar. Handle, perfect to attach it to rucksacks or belts. 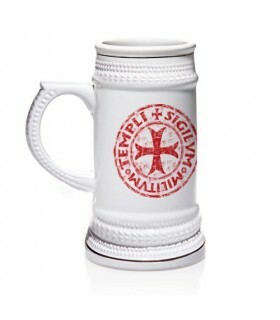 Ideal for recreacionistas medieales and templars. With a capacity of 30 cl. Manufactured in stainless steel resistant to scratching, scouring pads and dishwashers.Not suitable for dishwasher or microwave. 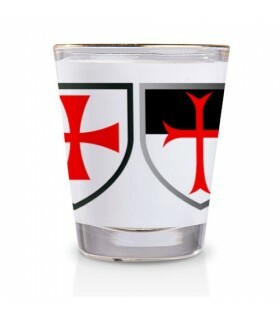 Shot glass Crosses Templars. Designed with the Templar Knights and two Maltese Crosses on the sides. Manufactured from glass with the rim finished in gold.It is recommended to hand wash.